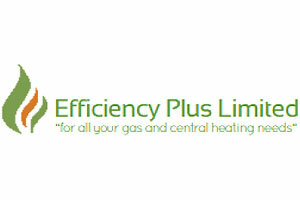 Efficiency Plus Limited is a plumbing and heating business based in South Croydon. We started working with Matthew, the owner of Efficiency Plus when he was acting as a Sole Trader and assisted with his self-assessment tax returns. When Efficiency Plus Limited’s profit grew we advised Matthew when the optimum time was incorporate a Limited Company rather than operating as a Sole Trader. This meant Matthew could pay himself through dividends and salary which would be more tax efficient. Once Efficiency Plus Limited was incorporated we registered the company as an employer and registered the company for VAT when it reached the VAT turnover threshold. Efficiency Plus is part of the construction industry scheme which means it has some of its fees withheld by clients and paid directly to HMRC. 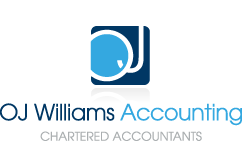 OJ Williams Accounting helps Efficiency Plus keep track of these amounts withheld and at the end of the year ensures these amounts are allocated against any corporation tax liability. The risk is that if these payments aren’t recorded accurately they could be lost and Efficiency Plus would pay more corporation tax than it should. Efficiency Plus also engages contractors therefore it has to verify the subcontractor is registered in the CIS scheme and submit monthly returns and payments to HMRC detailing the amounts withheld. All of which is taken care of by us, leaving Matthew to focus on what he does best. We provided Matthew with a monthly management pack which contains a profit and loss account, VAT and corporation tax liability projections and projections on what dividends Matthew can take from the business. Working with OJ Williams Accounting gives me piece of mind that my Construction Industry Scheme responsibilities are taken care off. Each month Owen ensures my returns are submitted on time and that any subcontractors I use are verified by HMRC which means I avoid any fines. I can also have confidence that any CIS payments that have been withheld from me will be allocated against other taxes and not lost. No one wants to think they have been working for nothing. The monthly reports help me know how my business is performing and most importantly know how much cash I can take from the business. Owen talked through what my tax bill would be dependent on what level of dividends I declared. This was a great help when I was dealing with a mortgage broker and assessing different mortgage options which required different levels of income in my self-assessment tax return. In summary, working with Owen gives me confidence everything is done right. I have used other accountants in the past who have made errors which have caused me fines. This has never happened with Owen.